If there is ever a core idea behind our modern-day celebration of Halloween it is the need to escape. We run from ourselves into masks and costumes, for one night becoming that which we wish we had been. Sometimes we choose the face of a monster, only because we as mere humans are the most monstrous creations of all. Fear of oneself is essentially fear of your seed, of your origins. No filmmaker has captured the very psychology of America like David Lynch, and even in his early student and short film work, one finds an artist digging into the depths of his psychic plane, and our own. The Grandmother is a surrealist window into the very fabric of a decaying atomic family. For 33 minutes the viewer travels through every aching, terrible feeling of entrapment by one’s own kin, only to find solace in a grandparent soon to be taken away by the seasonal changes of life. To watch this short is to also get a sense of Lynch before his full flowering into the supreme American surrealist of the later 20th century. 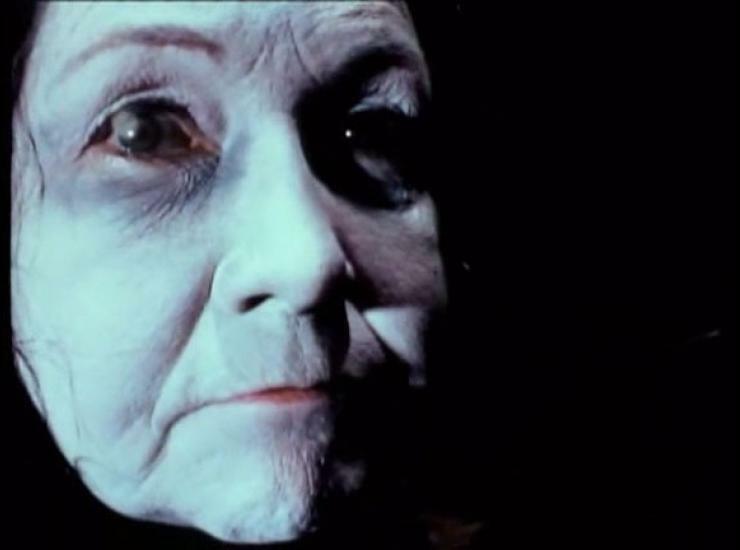 Made in 1970, The Grandmother forms part of Lynch’s early body of work produced at the American Film Institute (AFI), in a time when the institute was still fresh. It would be at AFI that Lynch would later produce his first, masterful feature, Eraserhead, which is now a surrealist standard alongside films like Bunuel’s Un Chien Andalou. In The Grandmother we can already see (and hear) the elements that would eventually define David Lynch’s future cinematic creations. The conjuring of a pure dreamscape, an understanding of the fractured nature of dark imaginings, and a willingness to look at monstrosities- whether emotional or physical — unsparingly, all of it is here, complete with a soundtrack that feels like a menacing requiem. Lynch has described his creative process as beginning with a single image or thought which then expands into a larger project. This freedom to thread a film out of a spontaneous source accounts for the disjointed energy of films like Lost Highway, where Bill Pullman’s sax player goes to prison and emerges as a completely different person played by Balthazar Getty, with a new identity and apparent storyline. Wild at Heart, one of Lynch’s critically misunderstood bursts of exuberance, is a jarring outlaw journey with Nicolas Cage and Laura Dern in which the colors, the close ups of scorching flames and touching lips capture love at its most intense. It embodies Andre Breton’s proclamation that “Beauty will be convulsive or will not be at all.” The Grandmother belongs to the Lynchian cinema that is more direct in its inspiration and statement, but no less striking. There is a more direct line between this short and films like Blue Velvet, in which the rotting core of American suburbia is laid bare, or Mulholland Drive, a dreamscape where two women become conduits for the very essence of Los Angeles and its lust for fame, trapped within loneliness. The Grandmother begins with one of the most unnerving interpretations of procreation. In a scene combining animation with black and white live action, strange shapes emitting what could drops, or seeds, are intercut with a couple embracing in the woods. But their embrace is a jagged series of movements. The man has lips marked with could be the outlines of a clown, or scars. From the earth emerges a boy already dressed in a suit and tie. The man lunges after the boy while the woman withers over the grass. Birth in this variation of Lynchdom is a cursed affair. Is the boy unwanted? Or is the man being already overly possessive of his offspring? We are thrust into the world without our consent. We are all the creation of a union of cells and fluids over which we had no say. Like the innocent bystanders of a historic event, we are victims of history. The boy will sit on a bed, holding a plant while the adults continue to scramble around the ground, almost snarling or making the sounds of wounded hyenas. Is Lynch providing an indictment of procreation? I’ve always felt his early work expresses a unique and naked fear — that of fatherhood. The man in the early scenes could very well be acting out of rage, because now he has produced a child, a living link. In the book and film We Need to Talk about Kevin, a mother has a child after a one night encounter, and this offspring will be the bane of her existence. When grown the son will exact his vengeance through violence, vengeance for knowing all his life he was not loved. The author of the novel, Lionel Shriver, admits the inspiration came from not wanting to have kids. I myself have reached a point in the age scale where having a child with someone would make sense in terms of the timeline, but life has not afforded the opportunity, and I confess to fearing for what a child born now will face in the decades to come. Lynch’s first great opus, Eraserhead, follows a shock-haired character as he begins to care for a strange, fish-faced infant wrapped in in blankets. By the end the child is disemboweled, and Eraserhead finds himself overwhelmed by its cries. The sound design of The Grandmother is crucial in conveying its rather personal and naked nightmare. Most of the soundtrack is a drone, ominous and enveloping, enhancing the impact of the cinematography (the film was shot by Lynch) where shadows are of the deepest blacks. When the boy and his grandmother tenderly exchange glances and playful finger pokes, the music becomes a guitar-driven, folksy set of melodies. It is as if the grandmother provides the necessary escape from the brutality of useless parents, providing the kind of love and connection the boy seeks. The symbolism is profound in only the way a true surrealist could conjure it. Our true homes are not always with those who gave birth to us, and if we cannot find solace with our grandmothers, we sometimes find it with lovers, friends and those outside of our toxic entrapments. I myself was raised by loving but strong-willed, stubborn parents. My own grandmother was like a calm within the storm, always the voice of reason, always the voice of calm. She lived to the age of 99, attaining a particular kind of wisdom culled from having experienced a Central American world which was always tumultuous. I find myself at times recognizing that I have more cosmetic things in common with my grandmother than with my parents. My sense of humor, my capacity to speak endlessly, to the detriment of friends at times, and even some of my ticks, can be traced to that woman. 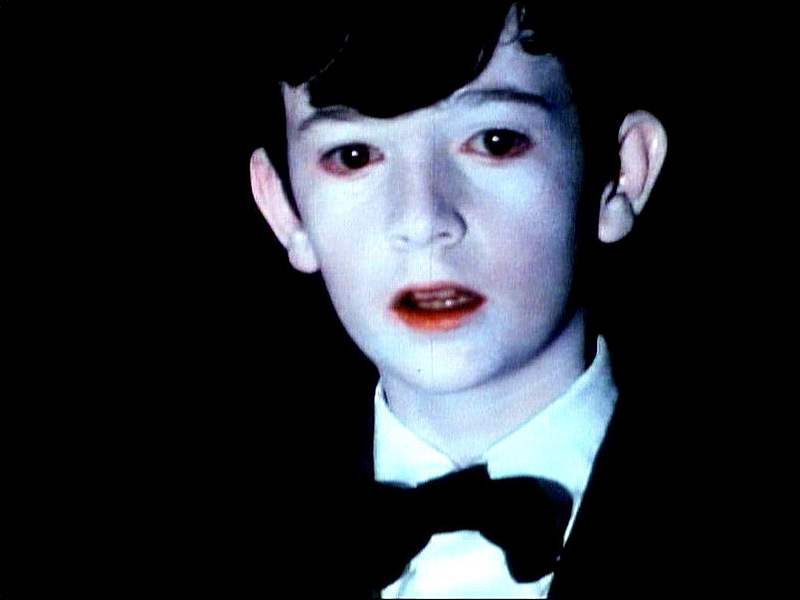 The boy in Lynch’s film is surely based on him. He is a quiet, observing character in a suit, wandering in a world of loud-mouthed brutes. Even in the pantheon of our most established filmmakers, Lynch stands out, never readily put in roundtables with Oliver Stone or Steven Spielberg. Yet Lynch’s film is not a tome about the eventual triumph of love or freedom over barbarism. At its core it is about the horror of our fate. The grandmother eventually must die, in Lynch’s vision by disappearing in a series of strange edits. The boy is left alone once more, and his father can only look at him with a terrible grin. Lynch unnerves us here more than any horror director ever could, because he has pulled into the frame the raw fear of life’s cruelty. Ghouls are but specters, loss and humiliation are quite real. Lynch has captured the entrapments of life before with a fierce clarity- recall the scene in Lost Highway where a mob boss forces Patricia Arquette at gunpoint to undress. Who will save this boy? He may have to do it himself. But that’s speculation. The final moments of The Grandmother shift into a grainy black and white in a haunting field where the grandmother sits on a chair. She emits a silent scream, the frame freezes, and the boy reaches out in agony. He is the seed of monsters, and has lost his connection to the only loving link he could find. He is left alone, back in bed, awaiting the next horrors of this world. One is reminded of Kafka, uttering “I am a memory come alive, hence my insomnia.” Thus is a how a haunted mind speaks, and Lynch’s short is but 33 minutes of secluded ache. The realm of the short film is quite ideal for surrealism’s way of expressing psychological feeling. Dreams are but fleeting and the emotions of a powerful nightmare can be sudden and piercing. The Grandmother is a series of images giving form to our fears about ourselves. It is one thing to feel threatened from the outside, quite another to feel life has dealt you tortures you didn’t ask for. We may run away from the terrors in our lives, even as we carry them in of our bloodstreams.